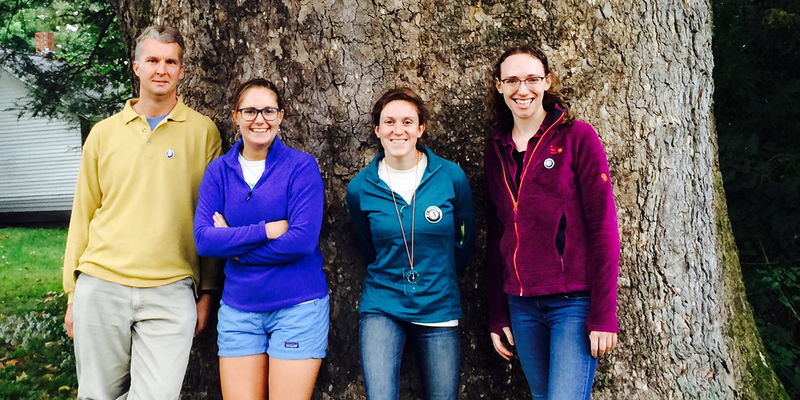 In September of 2016, the Kestrel office got busier than ever as we welcomed four new AmeriCorps MassLIFT service members to the Kestrel team.  This AmeriCorps program (Massachusetts Land Initiatives for Tomorrow) provides land trusts across the Commonwealth with full-time, year-long volunteers to help us get more done. This is the first time Kestrel has ever had more than two service members, and our newest position–the Youth Education Coordinator–allows us to reach young people in ways we haven’t been able to in the past. Lee Halasz is our Regional Conservation Coordinator, working with Mark Wamsley, Land Conservation Manager, to support regional farmland conservation and our Forever Farmland Initiative. 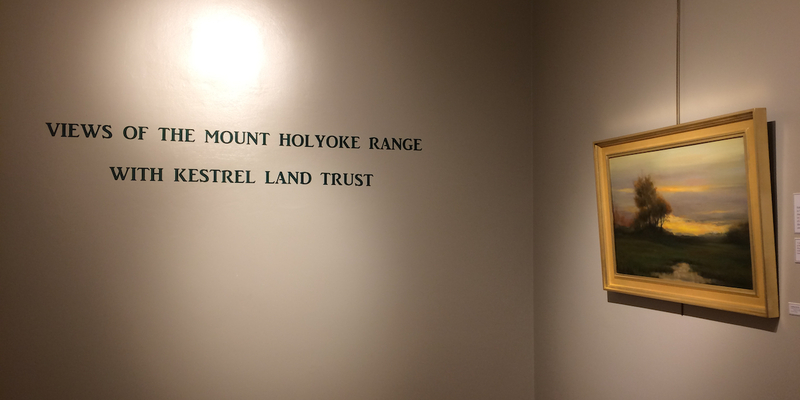 Our Youth Education Coordinator, Madlyn MacKillop, is getting high-school students from Amherst and Holyoke outdoors to build a conservation ethic along with personal confidence. 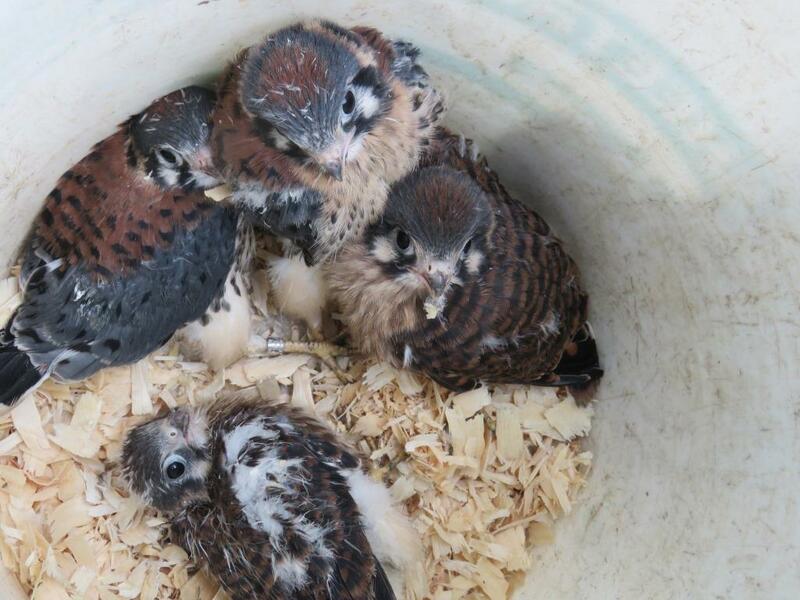 This role is part of Kestrel’s new Community Conservation program, led by manager Kat Deely. Charlotte Malmborg, our Land Stewardship Coordinator, is helping to care for the land by training stewardship volunteers and leading workdays in the field under the guidance of Stewardship Manager Chris Volonte. 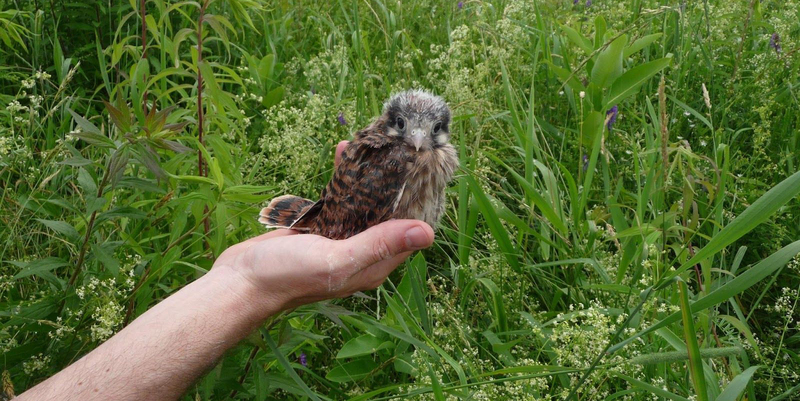 And Katharine Winkler, our Community Engagement Coordinator, is helping to ramp up Kestrel’s newest volunteer group, the Community Crew. Katy is also working with Communications & Outreach Manager, Kari Blood, on programs to connect people to the land and to each other through the arts, history, and culture. We are thrilled to have these dedicated folks here for the 2016-17 service year. Stay tuned to hear more about the great work they’re helping to make possible on the land and in the community.